Randy’s Roadtrip touched down in Vancouver, as CFL Commissioner Randy Ambrosie outlined his vision for CFL 2.0 to BC Lions season ticket holders. Among the things discussed? What would fans think of moving playoff games to Saturdays? How about the Grey Cup, should that be moved from it’s traditional Sunday? How many challenges should a team get per game? The Lions also introduced their 2019 coaching staff, and players Bryan Burnham, Will Watson and Claudell Louis stopped by. Oh and some guy named Mike Reilly was in attendance, apparently he’s our new quarterback? Ed Hervey talks about the future of Travis Lulay and Solomon Elimimian…and didn’t sugar coat it for the fans in attendance. If you missed out on a lottery spot to attend in person, here is the full event for you. Missed our chat with new BC Lions Head Coach DeVone Claybrooks? Checkout Episode 128 here. The worst kept secret in the CFL was finally unveiled by the BC Lions shortly after the opening of CFL Free agency. Ed Hervey got his man, and could barely wipe the smile off of his face. 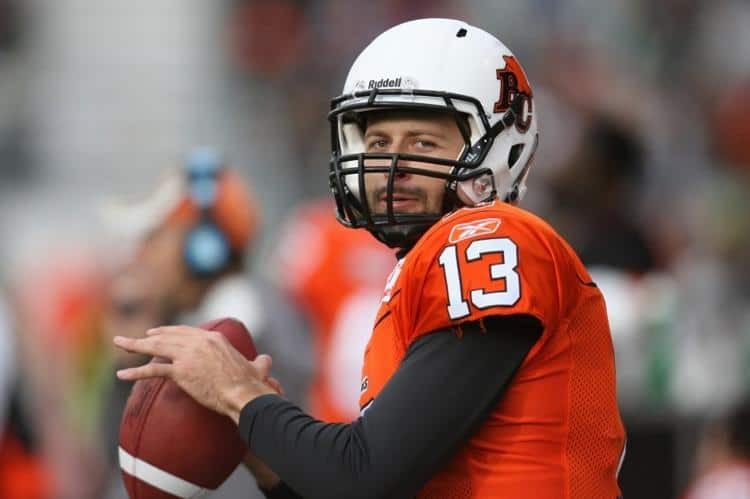 Mike Reilly is back with the BC Lions, where he said he intends to play until he’s at least 40. His current deal will take him to the age of 37. A four year deal worth $2.9 million is what it took to get the man many consider to be the premier quarterback in the CFL. That and the vision of Ed Hervey, who Reilly has complete confidence in to build the Lions into a contender for years to come. The added bonus of having his family near by was the clincher. The deal set off a chain reaction through the league, as the Eskimos immediately shifted gears, successfully targeting Trevor Harris in Ottawa. Bo Levi Mitchell put a scare into Stampeders fans by listening to the Argos and Riders, but in the end chose to stick with the familiarity of Calgary, inking a deal similar to Reilly’s at four years, $2.8 million. Judging by reaction on my Twitter feed, the signing of Reilly has fans excited about Lions football again, and don’t think that didn’t factor into the signing as well. The market here needed a shakeup, and this should provide it. Reilly is a proven winner, a consistent performer, and durable. He’ll also have no problem getting out in the community to be the face of the franchise. The club wasted little time getting Reilly’s face out there. Reilly seemed extremely confident and excited to be joining Ed Hervey in BC. Mike Reilly can’t win games on his own, and the Lions added some pieces today that will help with that. Let’s break down day one of free agency in the Lions Den. Obviously when you’re looking to protect your new shiny quarterback, you’re going to need to make sure he’s protected. The Lions took steps towards doing that by re-upping Hunter Steward the day before free agency and added some nasty to the interior of the line by plucking Sukh Chungh out of Winnipeg and inking him to a 3-year deal at a reported $250,000/year. Chungh is exactly what Hervey is looking for. ; an extremely physical presence on the interior of the offensive line. Still to be decided is the spot at centre and right tackle, where I’ve been told the Lions will audition for the position, moving on from Jovan Olafioye. Many feel that national receiver Lemar Durant started to break out in Calgary last season. Like Chungh, the BC player comes home to play for the Lions, and will likely slot in for Shaq Johnson, who I’ve been told the Lions may move on from. To help stretch the field the Lions went out and have reportedly signed the colourful and controversial Duron Carter. Carter spoke with the Lions last year after being released by the Lions. Hervey made overtures that it might be something he would look at in the future, and he’s done just that. Carter is of course a risky signing. For whatever reason, he hasn’t been able to find a place to call home, but Hervey is gambling that BC will be the place. He definitely fits into that image Hervey is moulding for the Leos. He wants them to have swagger, and Carter fits that bill, and oh yeah, he’s a pretty good player as well. It’s hard to imagine DeVone Claybrooks or Mike Reilly putting up with any nonsense in their locker room, so maybe this will be a good fit for Carter to buckle down and play some football. Aaron Grymes is one of the best cover DB’s in the Canadian Football League and he’s now a BC Lion. Another former Hevery employee from Edmonton, Grymes brings a physicality that will be exciting for Lions fans to watch. 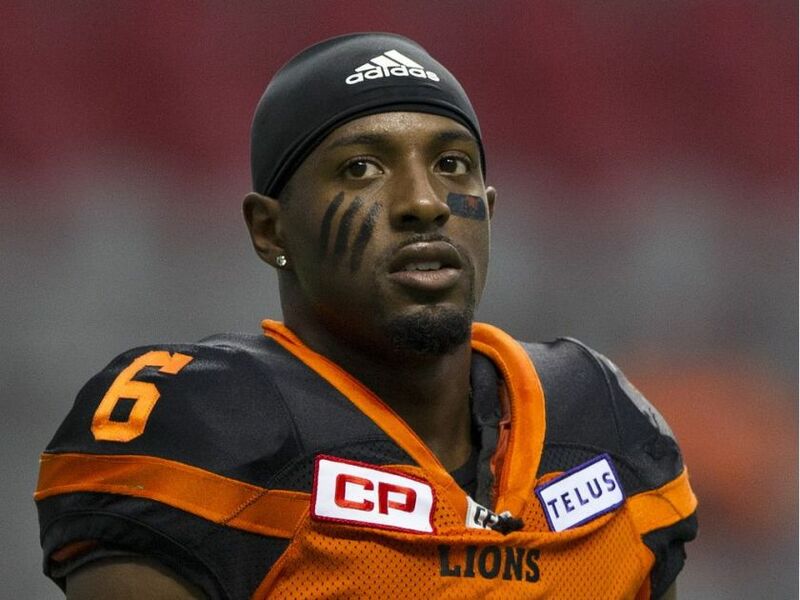 The club re-signed TJ Lee prior to free agency, but lost Anthony Orange to the Eskimos. They were rumoured to be in on Taylor Loffler, but he ended up with the Alouettes. Hervey went back to Edmonton to sign DB’s Chris Edwards and Josh Woodman. Anthony Thompson, Otha Foster, Winston Rose and Garry Peters remain unsigned. 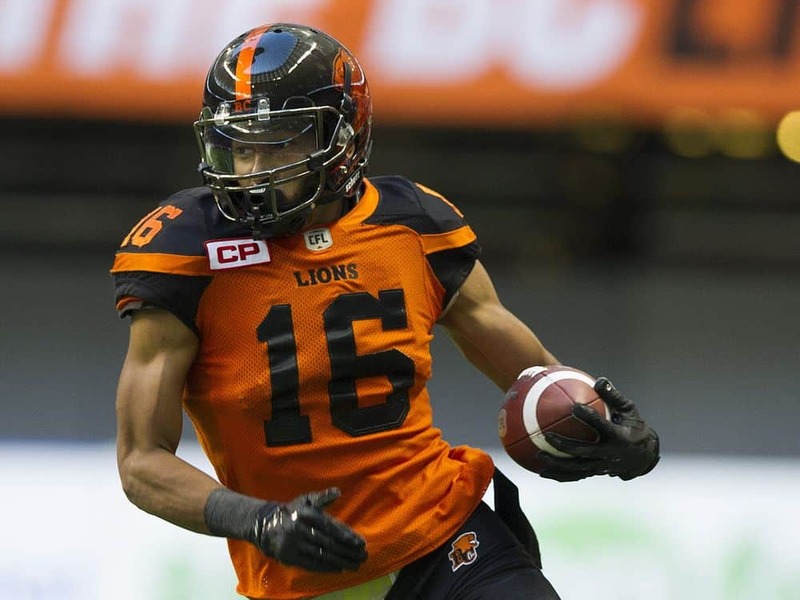 Rounding out the signings was the addition of national reciever Josh Stanford (MTL) who adds national depth at the position for the Lions, and who very well could cost 3rd year Danny Vandervoort, who hasn’t seen a lot of playing time, a roster spot. The biggest surprise for me here was Bo Lokombo, who really started to show signs last year that he’s ready for a full time starting role. He’s a special teams demon, a local guy as well and the Lions lost a good one here. But as was the case with Adam Bighill, linebacker isn’t a position where Hervey likes to spend a lot of money and Montreal was happy to snap him up. Chris Rainey was no surprise, after seeming to fall out of favour in the second half of last season, even being taken out of the lineup a couple of times. He’s still a legitimate threat and a fresh start in Toronto might do him good. Hervey got a lot done today, but what you didn’t see was any guys on the current roster who are now free agents, re-signed except for running back Brandon Rutley. The Lions GM dished out some strong hints that Lions fans are going to be saying goodbye to some familiar faces. In his words, “You have to rob from Peter to pay Mike”. Names like Manny Arceneaux, Jovan Olafioye, Travis Lulay, Jonathan Jennings, Shawn Lemon etc. are likely gone. Other have likely been offered deals and now have to decide whther they want to be part of things going forward. It’s a new era of BC Lions football, and it’s only just beginning.